I love music, and it is so awesome to be able to attach a sound to a person on the iPhone. It also serves as a great warning if you aren't in the mood to talk to your Great Aunt Essie. There are two ways to go about getting yourself a ringtone for your iPhone. You can either do it yourself in iTunes (which can be easy if you have recently purchased a tune), or you can create and/or download some awesome ringtones online using free programs. This post will help you to do both. 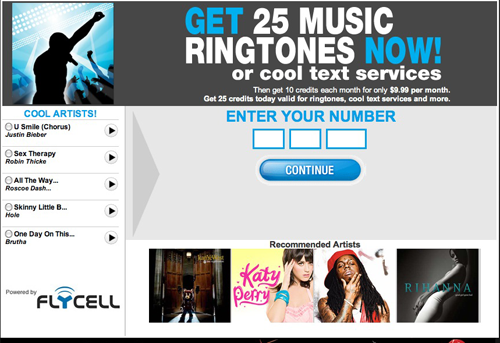 iRinger is an awesome site, and you get 25 ringtones but then have to pay up (10 clams per month). It is also only for PC users. The 25 freebies ought to do the trick for most people, but, still and all, we at MUO like FREE FREE FREE stuff! In the quest for finding FREE 3G Ringer sites, I came by some super sweet places to create and download free ringtones. The best out there is Audiko. It is both PC and Mac friendly, and it is FREE! You can upload any song from your computer, use a link, or provide a YouTube URL. It will then allow you to clip the section you want to use as a ringtone. Finally, you can download the clip for free! They have options for PC users, iPhone users, AND for people with older phones! Now, don't be scared...there IS a HUGE HUGE button that says "Send to your phone" but you DO NOT NEED TO DO THAT...that is for a paid service (and is probably how they are able to do the rest for free). You can create your ringtone for free without sending anything to your phone. Once you create your 30 seconds of bliss, you will have the option to download it in a variety of formats like on this Lady Gaga clip. If you don't have time to create a ring tone, there are lots and lots of choices for ones that have already been created. Simply select from the list, and you will be able to download it for free (just remember, it is NOT NECESSARY to send it to your phone!). 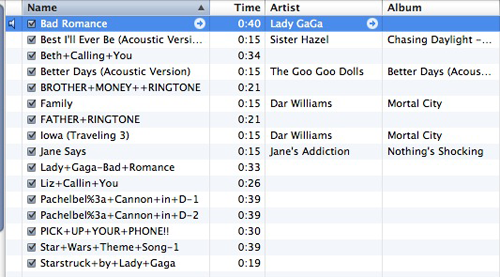 Once you have the ringtone saved on your desktop, simply drag and drop it into your ringtone folder in iTunes. Go into your iPhone and assign the tone to one of your lucky callers! Do it Yourself in iTunes! 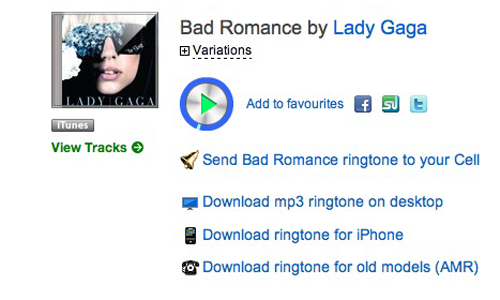 If you want to go old school, make the ringtone yourself in iTunes. 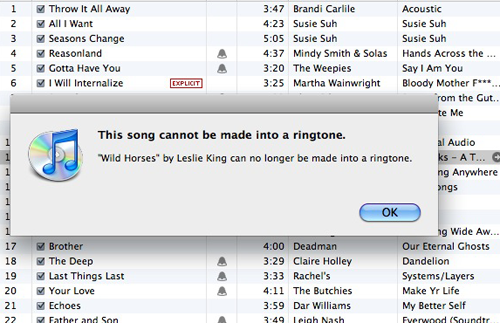 Just remember that you can ONLY create ringtones from music you purchased in the iTunes Store. If you downloaded a song from somewhere else, you are out of luck. 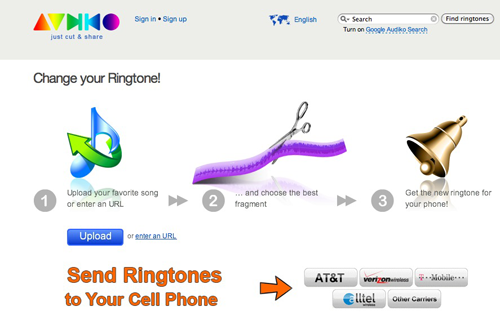 To create the ring tone, simply right click on the song, and choose "Create Ringtone." You will be able to select a portion of it to use, and iTunes will do all the rest for you. 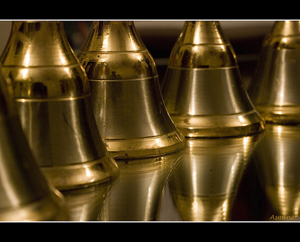 It will put it right into the ringtone folder, and it will create a little bell icon for in your library. Be prepared, though, because not ALL the songs you purchased can be made into ringtones. There is some sort of secret formula about when you purchased the song and whether or not you have the most current version of iTunes. Have you ever created your own ring tone? Do you have a favorite site to create and download them for free? 10 clams?? People are bartering over the Interweb now? Jolly good show! Has to be safer than getting out your plastic, what? ?